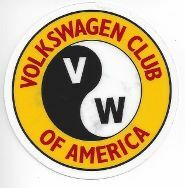 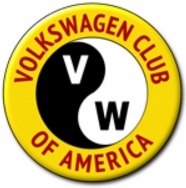 These sturdy plastic frames proudly announce that you're a Volkswagen Club of America member to all who sit behind you in traffic. 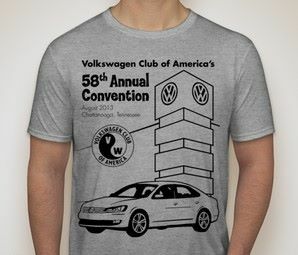 White letters against black frame. 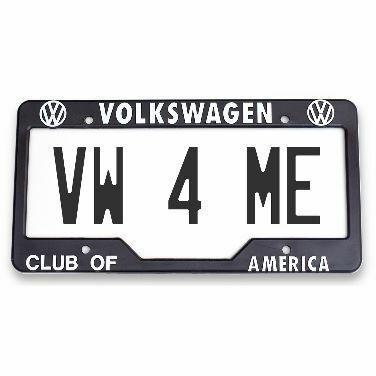 Sorry, "VW 4 ME" insert not included.